Also try our frequent asked questions to answer some of your questions. Our WhatNote app is designed for multiple mobile platforms like Android and iOS. Therefore your screen might look not exactly the same as on this page. The best view you might get on tablets in landscape mode. This is probably the main view. 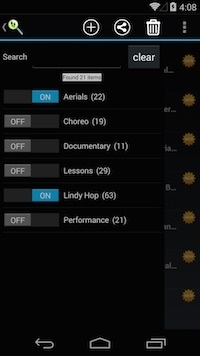 It shows a list of all your dancing videos with your applied filter. You can share this list with your friends with the SHARE symbol in the action bar, you can add a new video with the PLUS symbol, can delete videos with TRASH CAN symbol, or you can simply just select a video to do more with it. You can select all or individual videos. Remember, you only see the videos in the list that comply with the filter you have set. Either click on the top left or just swipe from the left and you will see this view unless not already visible on most tablets in landscape mode. This is where you narrow down your list of videos. 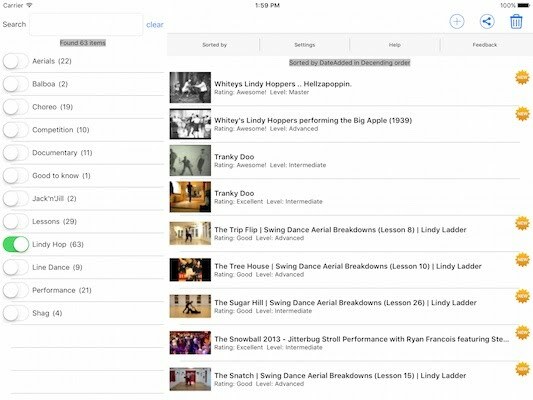 You can put in any words in the search box which will query all text in your video library. An even more powerful help is using tags. You can create your own tags in the Edit Tag View. Once you have selected a video clip in the List View, you see all you can do with this clip. You can simply click on the picture to play the video. You can enter your own notes, rating, level and tags. Click on the Tags button to assign more tags to the video. Click on the Details button to dig a bit deeper. For example you can set a start and an ending for your clip. This way you can crop exactly the part you are interested in. You also have the option to see this clip in youtube by clicking the youtube symbol in the action bar. Click the PLUS button in the List View to create a new video entry. Then select the YouTube button in the action bar. Once you have chosen your clip in YouTube click on the Import Video button in the action bar. The app copies all valuable data from YouTube over to your library, ready for you to add your own bit to it. Start up the YouTube app, find your clip and hit the share button. YouTube will ask you then with what app you want to share. Scroll until you find the WhatNote app and click on it. YouTube sends the data then to WhatNote. Through email. You might have received an email from a friend or dancing school that has sent you a recommended dance move video list. Just click on the attached file (long press on iOS). Sharing is carrying. Help your friends out with some cool dance move clips that you have put together. Just go to the List View and hit the share button. You might want to narrow down that list in the Filter View. Then just select the videos you want to share and hit Send. You will be given a choice what you want to send it with. 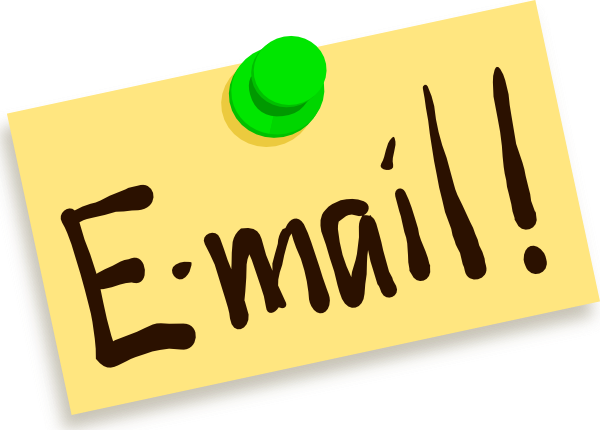 Chose Email and enter your friend's email address and hit send. That's it. 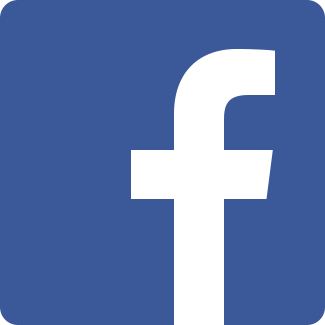 Unfortunately, Whatsapp and Facebook don't offer file sharing with the playlist file format. But hopefully in the future WhatStep can send the playlists directly. Using the TimeZoom feature you want to divide ONE video in multiple smaller clips to only watch what is important to you. One video may contain more than one move. In order to save the snippet as a new video, you have to give it a different title. When you try to save you will be given the option to save it as a new entry.